Jordan Walker is a reservoir of information on anything and everything animals. 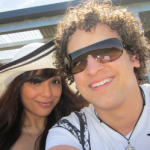 He writes for Coops And Cages and other blogs where he gladly shares his passion with other like-minded folks. In this article, Jordan lays down for us the basics of becoming a chicken farmer in the city. Planning to become an urban chicken farmer? Congratulations on wanting to take that step towards growing some of your own food. 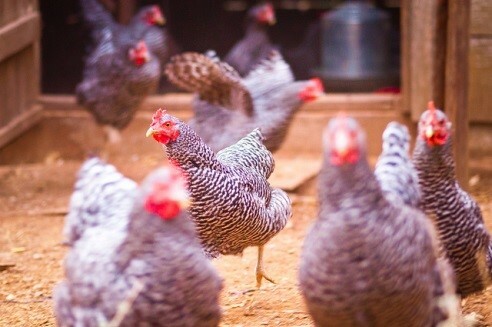 Whether you need chickens for the eggs, the chickens themselves, or both,the steps to growing your own coop of chickens are pretty simple.There’s a lot to like about the whole concept. On any given day, a chicken farmer typically has a set of tasks to check off his/her to-do list. First, a farmer would want to see to it that his/her chickens have enough food and water for the day. Second, a farmer should inspect his/her chicken coop for holes and other openings that might let the chickens out, or let predators in. Third, check for eggs. Actually, that’s it. Once you’ve got your chickens in place and inside a secure enclosure, you’re practically set. Now that you know how easy it can be, it’s time to think about how to set up your own urban chicken coop. A common misconception about raising chickens is that you need a huge backyard. This is not true, though. Three hens can already do well in a three-foot raised nesting space and a 10 feet by 10 feet run. Make sure you install a perch in the nesting space (to indulge their roosting instinct) and a space for laying eggs. You need not build the coop yourself if you don’t have the time or the talent for it. There are many pre-made chicken coops on the market. The companies who make these coops also probably offer customized services to help you get the exact coop dimensions for your space. Don’t forget to cover the surfaces of your coop with wood chips or shavings, hay, or some other appropriate lining. Chickens need to get their dose of sunshine too, so make sure you have some sort of arrangement for that. Another common belief about chicken farming is that you need a large number of chickens to start a flock. Actually though, you only need as few as 3 chickens to start you off. In an urban setting, that can already be plenty enough, given the space constraints (but if you are not particularly space-constrained, feel free to augment their numbers). No, raising just one chicken won’t cut it because chickens are social animals. They get lonely, too. If you want happy chickens, always make sure they are always surrounded by other chicken friends. Just like with any other domestic animal, you need to know the nutritional requirements of your urban flock to ensure they are not only happy (there’s at least 3 of them) but also healthy. The thing with chickens is that they are pretty low-maintenance feathered damsels and dudes. While the natural diet of chickens is a mix of plant and animal sources, they will do pretty well with any and all scraps off your table. Chickens particularly love insects and worms. These could be hard to come by easily in the city, so you could treat them with such delicacies whenever you find them. Don’t forget that chickens need some source of grit to aid digestion in their gizzards. Some sand will do, as will finely ground oyster or clam shells. 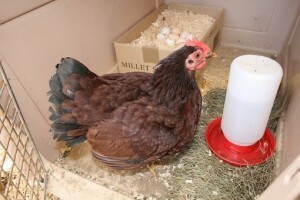 The latter is particularly good for their calcium requirements – makes sturdy eggshells. You would think that chickens living in the city wouldn’t have any predators or threats to worry about (except maybe crossing the road). That’s possible, but you wouldn’t want to take that chance with the neighbor’s furry pets. Dogs do have a natural instinct for chasing and dispatching prey, while cats – exclusive carnivores – love to hunt. To ensure the safety of your chickens, you should see to all the necessary measures. You know, a snugly fitted wire cage around the coop with holes less than an inch big, maybe even tightly shut windows in the odd chance your chickens are in some sort of indoor setup. Ensure that there are no cracks, holes, or loose boards. Predators have a will, and they will find a way. 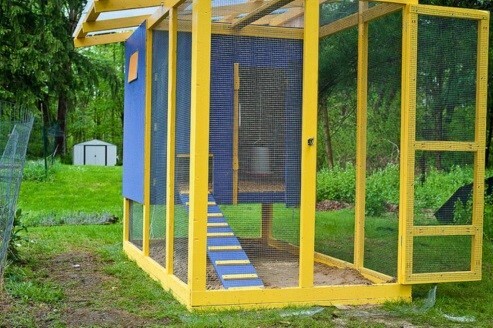 You should also weather-proof your chicken home to keep your ladies out of the rain, snow, and sun. During winter, maybe you could also provide some form of heating. Their water during winter will especially need to have heating. But of course, how would anyone be able to raise chickens if their city has rules against it? Kind of anti-climactic, it would all be.The local animal control office or some other appropriate agency may be able to provide you the information you need. Roosters are generally the noisier characters in the flock, so you might want to rethink about raising one. However, some people will view hens as a general nuisance, so this is definitely worth checking out. Hopefully, you are in a location that supports your desire for self-sustenance. In this age of instant everything, more and more studies are proving the adverse effects of such a push-button lifestyle. In the desire to get more out of food sources, humans have modified them so extensively that they have inevitably shortchanged themselves. So now, the world is finding itself going back to natural, untreated foods. The art and science of raising your own food figures into the whole going organic effort. Raising your own chickens will help you become more aware about what you are taking into your body. Apart from the somber dialogue on personal wellbeing, keeping chickens in the urban backyardis far easier and more manageable, than say, raising pigs, which many will agree will require more space and resources and annoy the neighbors a whole lot more. If anything, raising chickens in itself is rewarding, a stress reliever. It’s still a marvel why anyone wouldn’t want to. Jordan is the lead content curator for Coops And Cages as well as a couple of other pet-related blogs. His passion for animals is only matched by his love for ‘attempting’ to play the guitar. If you would like to catch him, you can via Google+ or Twitter: @CoopsAndCages.